Please welcome Callie Bates to The Qwillery as part of the of the 2017 Debut Author Challenge Interviews. 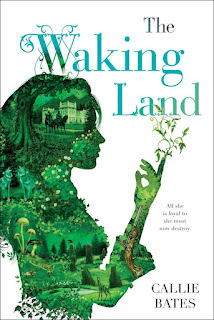 The Waking Land was published on June 27th by Del Rey. Callie: Thanks so much for having me! I started writing when I was about 10 or 11. I was a voracious reader—and also a voracious dress-up-player—and I realized that I could write down the stories I was always inventing in dress-up. Both my parents are writers, and sitting down to concoct a book myself didn’t seem outside the realm of possibility. Callie: I’ve evolved into a hybrid. I used to firmly be a pantser, but I discovered I need some plan to get to the end of a book (or, in fact, the middle). So now I outline enough to know where I’m going, but not so much that I lose the thrill of discovery. Callie: I think stamina challenges me the most—to state the obvious, writing a novel takes a long time, and much of it is done in isolation. There are first drafts, rewrites, revisions, edits. Writing a novel isn’t really like running a marathon—it’s like several marathons, a couple of sprints, and some periods sitting in the grass wondering where exactly you’re trying to get to. 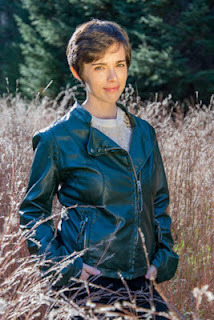 Callie: Many wonderful books have inspired me over the years, from reading Robin McKinley, Tamora Pierce, and Diana Wynne Jones as a kid, to discovering Dorothy Dunnett and Homer in my teens, to all the incredible books being published now by Naomi Novik, Leigh Bardugo, and so many more. My list could be so much longer! 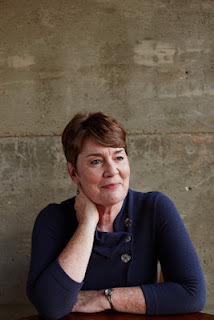 I’m also strongly influenced by place and history—I’m intrigued by finding a real place or historical person or event, and twisting them into fiction. TQ: Describe The Waking Land in 140 characters or less. 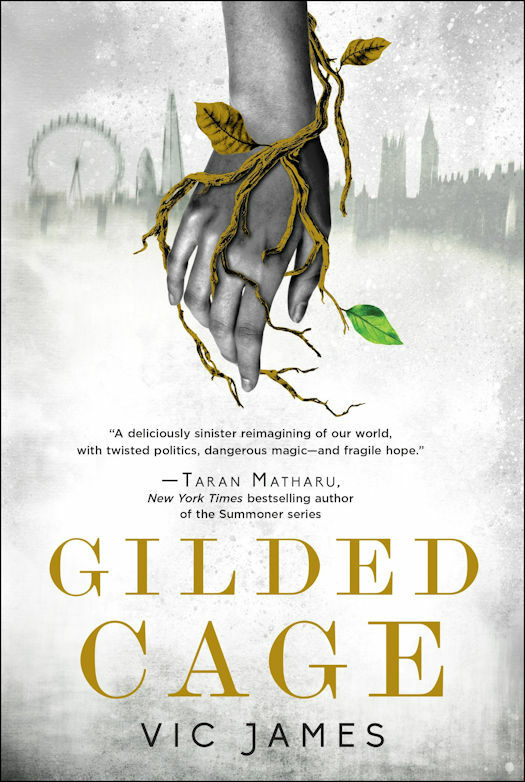 Callie: When she’s framed for poisoning the king, a young woman’s repressed nature magic drags her into her despised, estranged father’s political machinations. TQ: Tell us something about The Waking Land that is not found in the book description. Callie: Elanna, the main character, is taken hostage as a child for her father’s failed revolution, and raised like a daughter by the king. I was interested in exploring the tension of someone who grows up within a sheltered world, yet apart from it by dint of her birth—and who also struggles with Stockholm Syndrome. TQ: What inspired you to write The Waking Land? What appeals to you about writing Fantasy? Callie: I wanted to explore the symbiotic relationship between humans and the natural world through Elanna’s magic—something that can’t really be done outside the fantasy genre! I also wanted to take her on a journey of identity, where she truly transforms her understanding of herself and her world. Though of course I also wanted to write about poisonous fungi, daring escapes and romance! TQ: What sort of research did you do for The Waking Land? Callie: I did some research into the history of Scotland and Ireland, particularly the Jacobite rebellion of 1745—which is probably obvious to anyone who knows much about Bonnie Prince Charlie! The stone circles are inspired by a trip I took to Ireland in 2012, though my love affair with Neolithic monuments dates back much earlier. Specific details of 18th century life also had to be researched, to give the book the right flavor. And, since the main character is a botanist, I had to study up on my plants! TQ: Please tell us about the cover for The Waking Land? Callie: The U.S. cover was designed by Kathleen Lynch and illustrated by Ben Perini, and I absolutely love it. 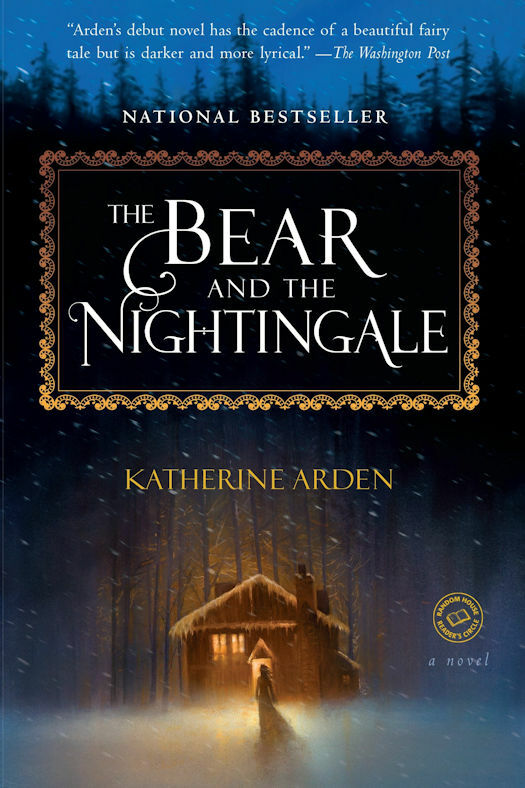 I am in awe of their attention to detail—each small feature on the cover ties directly into the book, from the accurate amanita virosa mushrooms to the stone circle, the pistol to the raven, the stately home to the horse riders… It’s pretty much an author’s dream! TQ: In The Waking Land who was the easiest character to write and why? The hardest and why? Callie: Hmm… Alistar has to be the easiest! He literally bounded onto the page, completely unexpected, and wrote himself into the story. The Butcher was, hands down, the hardest; I was still tinkering with his arc in late edits. Though I can’t explain why without spoilers! TQ: Why have you chosen to include or not chosen to include social issues in The Waking Land? Callie: To me, though I think The Waking Land addresses various social issues, climate change sits at the core of the book. This isn’t a novel about climate change, but in the era of global warming, I think reflecting on the power of the earth—and our connection to it—is essential. If Elanna’s story inspires people to do that, I’ll be very happy! TQ: Which question about The Waking Land do you wish someone would ask? Ask it and answer it! Callie: Why did you make Elanna a botanist? There’s an obvious parallel between El’s interest in botany and her magic. But I also wanted to depict a woman with a scientific bent. And I wanted to show that, like many 19-year-olds, she has hopes and dreams that are already in place, and that matter to her very much. She doesn’t take kindly to having her future plans shattered—which I imagine most of us wouldn’t, either! TQ: Give us one or two of your favorite non-spoilery quotes from The Waking Land. Callie: The sequel! The Memory of Fire picks up where The Waking Land leaves off—but this time, the story is Jahan’s. All his secrets will be revealed! GoNNER – GoNNER from Raw Fury and Art in Heart is a challenging, procedurally generated 2D platformer with roguelike elements. The game follows the largely misunderstood and altruistic Ikk on a journey to cheer up his only friend in this world – a giant land-bound whale named Sally – by searching for just the right trinket in the deep and dark places nearby. IRVINE, California—June 29, 2017—Experience the original clash between the terrans, protoss, and zerg like never before in StarCraft®: Remastered, a lovingly crafted modernization of the award-winning sci-fi real-time strategy game from Blizzard Entertainment, which launches worldwide on August 14. Grizzled StarCraft veterans and new commanders alike can now pre-purchase the game through the online Blizzard Shop and receive some exclusive in-game rewards. Here are some of the upcoming novels by formerly featured DAC Authors! The year in parentheses is the year the author was featured in the DAC. 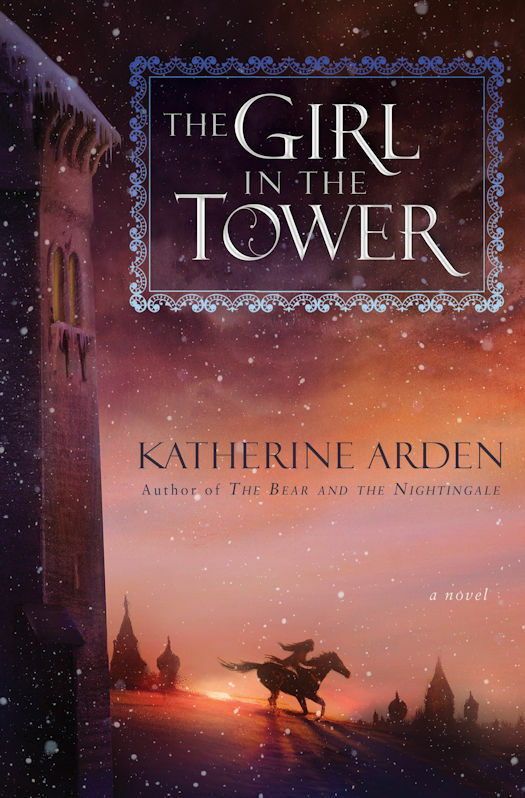 Note: The cover has been revealed by the author on Twitter here. 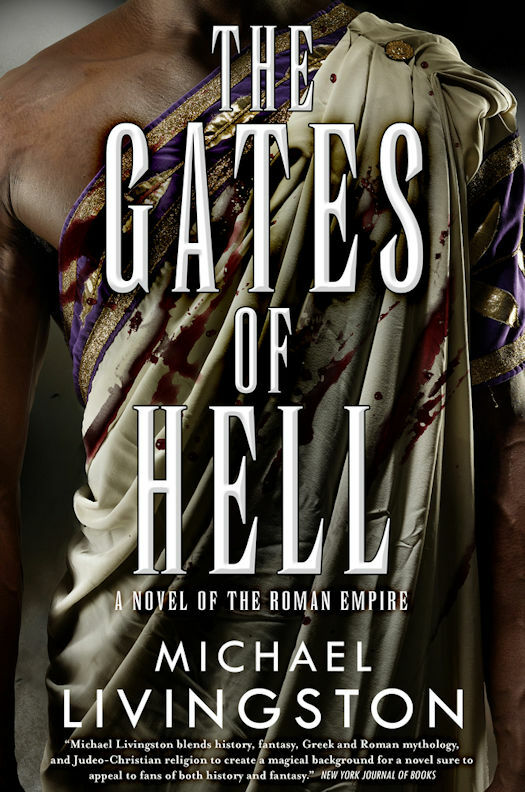 The Gates of Hell is the follow up to Michael Livingston’s amazing The Shards of Heaven, a historical fantasy that reveals the hidden magic behind the history we know, and commences a war greater than any mere mortal battle. Alexandria has fallen, and with it the great kingdom of Egypt. Cleopatra is dead. 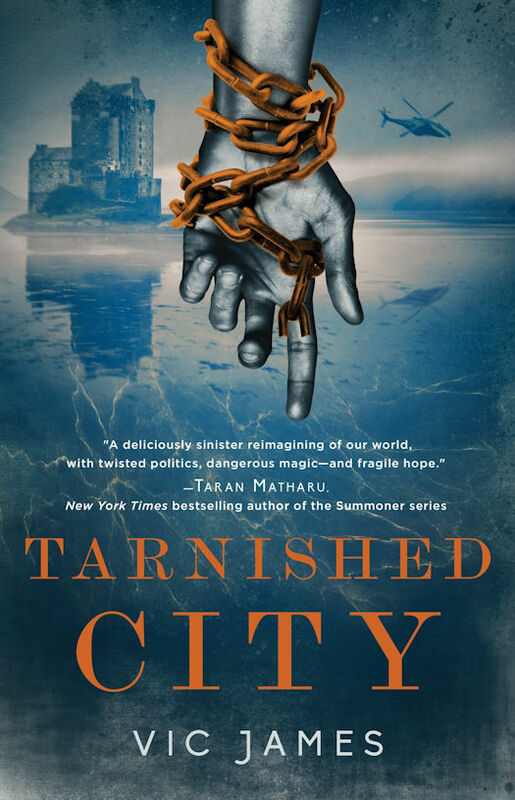 Her children are paraded through the streets in chains wrought of their mother's golden treasures, and within a year all but one of them will be dead. Only her young daughter, Cleopatra Selene, survives to continue her quest for vengeance against Rome and its emperor, Augustus Caesar. To show his strength, Augustus Caesar will go to war against the Cantabrians in northern Spain, and it isn't long before he calls on Juba of Numidia, his adopted half-brother and the man whom Selene has been made to marry—but whom she has grown to love. The young couple journey to the Cantabrian frontier, where they learn that Caesar wants Juba so he can use the Trident of Poseidon to destroy his enemies. Perfidy and treachery abound. Juba's love of Selene will cost him dearly in the epic fight, and the choices made may change the very fabric of the known world. 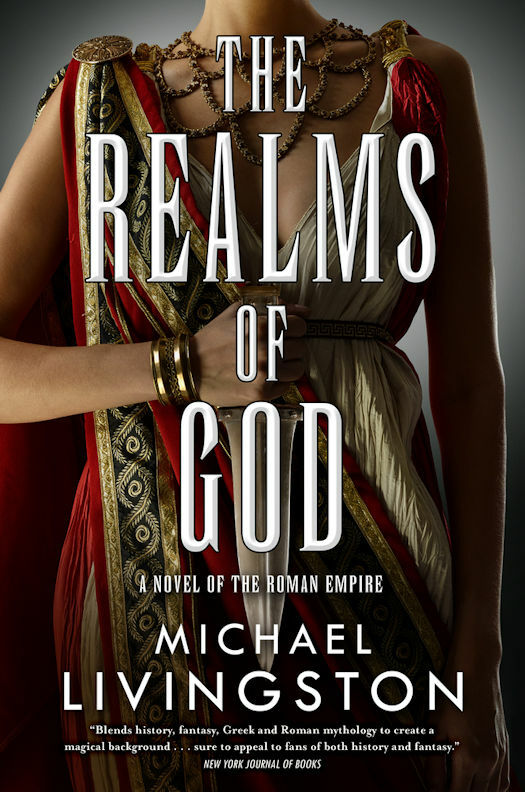 The Realms of God is the thrilling conclusion to Michael Livingston's historical fantasy trilogy that continues the story begun in The Shards of Heaven and The Gates of Hell. ORCS MUST DIE! UNCHAINED from Robot Entertainment will be available for PS4 July 18th. The game is already available for PC via Steam or directly from OrcsMustDie.com. PLANO, Texas - June 28, 2017 - Robot Entertainment today announced that its hilarious free-to-play action tower defense game, ORCS MUST DIE! UNCHAINED, will release on July 18, 2017 on PlayStation 4. In celebration of the release, PlayStation®Plus players who install ORCS MUST DIE! UNCHAINED can jump-start their orc-smashing careers with an exclusive package of in-game currency, skins, consumables, and more. Valued at over $20, this bundle is free for PlayStation®Plus members until August 17th! 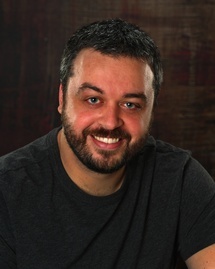 Please welcome David Mealing to The Qwillery as part of the of the 2017 Debut Author Challenge Interviews. Soul of the World was published on June 27th by Orbit. David: Pleasure to be here! I started writing seriously three years ago. The spark came during my first vacation in almost nine years, reading Brandon Sanderson’s WORDS OF RADIANCE cover-to-cover at a beachside villa on the big island of Hawaii. I finished the book, asked myself why I had never tried to write anything of my own, and nine months later I had a first draft of SOUL OF THE WORLD. Before then I’d never written any creative fiction, but I’ve always been a storyteller. Pen & paper roleplaying games were my primary outlet, and they taught me all the basics of drama – how to keep an audience engaged, how to build lovable characters and create immersive, impactful scenes. I’m still learning the craft of writing, but I’ve been creating worlds and telling stories since my first game of D&D when I was five. David: Pretty close to a pure pantser, which surprised the hell out me. As a DM in pen & paper games, I would spend hours building immaculate worlds, with dossiers on every NPC, long lists of political ties and trade routes, maps of every city, etc etc etc. I tried to do the same for novels and found it just didn’t work for me. I would sit down to follow my outline and immediately be hooked to follow something I found while writing the scene. Pantsing has cost me thousands of hours of rewriting to polish those ideas into a workable narrative, but I’ve found my best scenes come from a place I can’t access while outlining. I have to surprise myself first, then clean up the mess when I’m done. David: Learning the craft. I’m constantly in awe of how much greatness there is in SFF as a genre. Writers like Pat Rothfuss, N.K. Jemisin and Guy Gavriel Kay stun me when I read their stuff. I want to osmose their greatness, steal it and siphon it into my writing. I’m quite relentless when it comes to dismantling my work and looking for areas to improve, and while I try to be proud of the things I feel I do well, I know there is still so very much to learn. David: Everything! I’m a thief at heart. I shamelessly steal ideas, techniques, scenes, character concepts, story structures and more from every piece of media I consume. I watch MAD MAX and I want to write my version of Furiosa. I read James Clavell and I want to write daring pilots navigating ships to the far side of the world. Even music informs my writing – I’ve been listening to a ton of Bryan Ferry lately and I want to find words to capture the romance and softness in his songs. The hope is I combine enough different elements in what I steal to make it mine. TQ: Describe Soul of the World in 140 characters or less. David: French revolution alongside a magic-infused Iroquois Confederacy. Big, world-changing stakes. Layers to everything. Nothing as it seems. TQ: Tell us something about Soul of the World that is not found in the book description. Hmmm… how about some writing trivia? The most-rewritten chapter of the book is one of the interludes, the one given to The Nameless, aka Axerian. I rewrote it nineteen times from scratch. My wife is the only person to have read all nineteen versions of the chapter, some of which included spoilers and reveals for plot events that won’t happen until the third book of the trilogy. Partly as a result of this, Axerian is my wife’s favorite character by far. I’ll leave it to the readers to puzzle out why as they finish the trilogy! TQ: What inspired you to write Soul of the World? What appeals to you about writing Epic Fantasy? 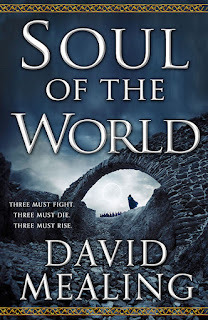 David: SOUL came about after my attempts to meticulously outline a fantasy western. As I mentioned above, that all went out the window as soon as I sat down to write the first scene. I was captivated by the idea of an artist sitting alone, sketching Louis XVI’s court at Versailles. I wrote that, and the rest flowed from there. 100% pure discovery writing. Epic fantasy in general is just an amazing genre to be working in. As epic fantasy writers we get the space to create lavish worlds and magic systems, and we can explore just about any facet of history or culture that catches our attention, real or imaginary. I want to take my readers all over my world, I want the stakes to be big, I want powerful heroes making life-changing decisions and villains who are just as convinced their decisions are right, even if it sets them against the heroes. Epics have always been my favorite books to read; I can’t imagine writing anything else, at least for now. TQ: Your bio states that you "...studied philosophy, politics and economics.." How did this help or hinder the creation of the world in your novel? David: PPE gave me a foundation for understanding how the world works, or at least understanding a bit better than I did as a teenage kid growing up in Southern California. I’ve learned as much and more in the years since college, but my academic studies taught me to pick apart traditions and power structures and try to find the motivations behind why people and nations act the way they do. It’s part of why SOUL is as layered as it is – there’s plot, and metaplot, and meta-meta-plot that will all be revealed as the trilogy progresses. I think PPE helped me see that humans and human-created tribes tend to layer motivations on top of each other, often rationalizing and obscuring from themselves the truths that are there for the finding, if you dig a bit deeper. I’m an analytical person by nature and PPE honed that aspect of my personality to a sharp edge. It stands to reason those aspects of me would find their way into my stories. 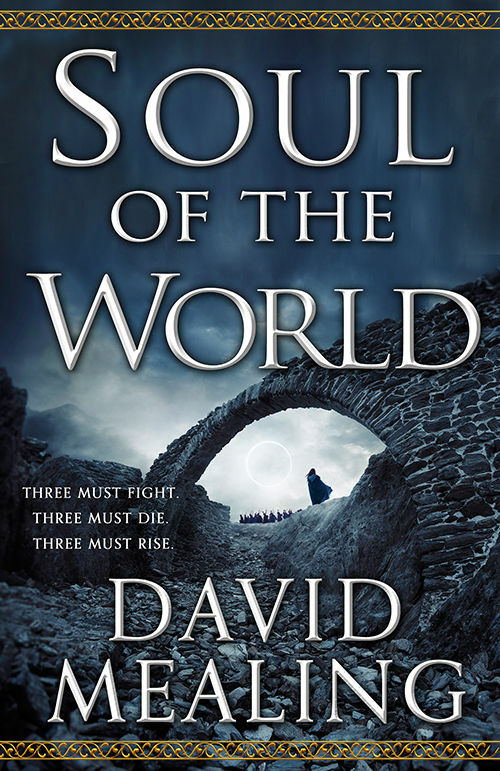 TQ: Please tell us about the cover for Soul of the World? David: I love the cover! It’s not depicting any specific scene, more evoking the sense of a lone girl standing against a threat she barely understands. It’s meant to convey mystery, danger, military, and defiance – all core themes of the book. I think it succeeds beautifully, and give full credit to the wonderful team at Orbit for putting it together. TQ: In Soul of the World who was the easiest character to write and why? The hardest and why? David: The easiest character was probably Foot-Captain Marquand. He’s a side character in Erris’ arc who steals just about every scene he’s in. Something about him just clicks in my brain – whenever he’s on ‘screen’ so to speak, the words flow and I find his actions and dialogue without trying. Almost every Marquand scene is untouched from the first draft – something I can say about virtually none of the other characters in the book. The hardest is Zi. Every word he says is dripping with meaning. I have to be careful not to trip up and reveal too much to readers inclined to parse the text close enough to catch me! TQ: Which question about Soul of the World do you wish someone would ask? Ask it and answer it! 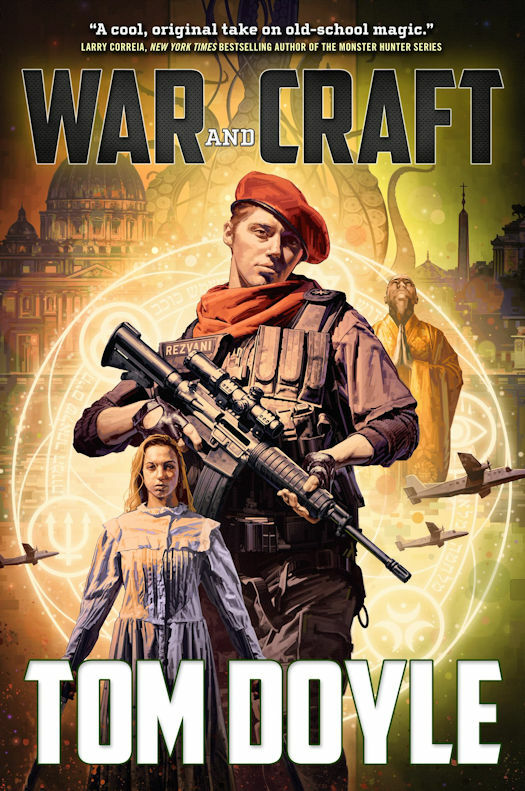 And the answer: until about midway through the first draft, SOUL *was* set in an era of high medieval military and weapons tech! Erris originally wore mail and Jiri wore barding. In fact, my wife even commissioned some art depicting the three main POV characters as a birthday present for me while I was writing the novel, where Erris is dressed in this style. I’d initially made the decision to juxtapose 18th century French fashions & politics with a more traditional medieval military setting, and opted to scrap it in favor of Napoleonic-era weapons since just about every reader would naturally expect it in a French-revolution inspired story. TQ: Give us one or two of your favorite non-spoilery quotes from Soul of the World. He felt numb. He didn’t want to be a hero anymore. I’ve always loved Marie d’Oreste’s story. She’s a side character from Erris’ arc who gets almost no direct screen time and has no POV chapters in the book. But if you follow along between the lines, you’ll see her lose her son (Alouen, from the quote above) to the King’s orders, her and her husband Philippe captured as prisoners of war, and watch her strive for goodness in spite of witnessing so many horrors and losing almost everything in her life. I’m fascinated by heroes and I try to find their stories everywhere I can, even in side characters like Marie. TQ: Will there be an Ascension Cycle pen and paper RPG? Do you have any favorite RPGs? David: Oh my god. I had honestly never thought about it before you asked this, which is weird considering my background. Wow. Yes, please? Someone make this and I can die happy. David: I’m two weeks away from turning in book two of the Ascension Cycle to my editor. Then on to first drafts of book three! Other than that, I finished a completely unrelated novel while we were shopping SOUL OF THE WORLD that I’d love to come back to. You might get to see that one in 2020. After that… who knows! I’m constantly writing, constantly looking to explore new ideas. I did 40,000 words of exploratory writing for a re-telling of some of Robert E. Howard’s CONAN stories last year, and another 20,000 of a French/Celtic dark fantasy inspired by William of Normandy and Le Morte d’Arthur. This time next year I’ll be close to wrapped on the Ascension Cycle and I’ll pick one of these – or maybe something completely different! – to move on next. David: My pleasure! Thanks for having me. Three heroes must rise in a world on the brink of destruction in the first book of this epic fantasy trilogy that RT Book Reviews called "an impressive fantasy debut with... a unique magic system sure to capture a fantasy readers attention"! 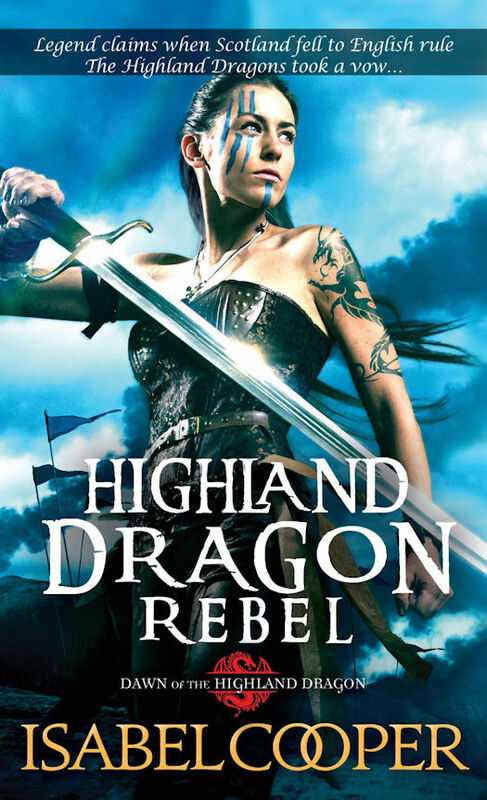 Start reading this gripping, vibrant, and imaginative addition to the epic fantasy canon for readers of Brandon Sanderson, Brian McClellan, and Miles Cameron. LOS ANGELES--June 28, 2017--XPRIZE, the global leader in incentivized prize competitions, in partnership with ANA, Japan’s 5-star airline, today launched Seat 14C, a revolutionary digital anthology that blends original science fiction stories with a writing competition to imagine what the year 2037 could look like. It is the first initiative by members of XPRIZE’s recently announced Science Fiction Advisory Council and includes new pieces by such high-profile authors as Margaret Atwood, Paolo Bacigalupi, Bruce Sterling, Hugh Howey, Mike Resnick, Nancy Kress, Karl Schroeder, and Daniel H. Wilson. The Seat 14C campaign is presented as an interactive web experience, featuring a short introductory video, followed by an interactive seat map where the stories of each passenger flying to San Francisco from Tokyo onboard ANA Flight 008 can be explored. Upon selecting Seat 14C, visitors will be provided instructions on how to submit their own short story and one person will be chosen to occupy that open seat, and the winner will receive a trip for two to Tokyo. The anthology will launch with an initial batch of 22 stories, with subsequent stories to be released on a weekly basis over the course of the campaign. For more information, visit http://www.seat14c.com. XPRIZE, a 501(c)(3) nonprofit, is the global leader in designing and implementing innovative competition models to solve the world’s grandest challenges. XPRIZE utilizes a unique combination of gamification, crowd-sourcing, incentive prize theory, and exponential technologies as a formula to make 10x (vs. 10%) impact in the grand challenge domains facing our world. XPRIZE’s philosophy is that—under the right circumstances— igniting rapid experimentation from a variety of diverse lenses is the most efficient and effective method to driving exponential impact and solutions to grand challenges. Active competitions include the $30M Google Lunar XPRIZE, the $20M NRG COSIA Carbon XPRIZE, the $15M Global Learning XPRIZE, the $7M Shell Ocean Discovery XPRIZE, the $7M Barbara Bush Foundation Adult Literacy XPRIZE, the $5M IBM Watson AI XPRIZE, the $1.75M Water Abundance XPRIZE and the $1M Anu and Naveen Jain Women’s Safety XPRIZE. For more information, visit XPRIZE.org. All Nippon Airways (ANA) is the largest airline in Japan by revenues and passenger numbers. Founded in 1952, ANA flies today on 87 international routes and 117 domestic routes. The ANA group has 35,000 employees and a fleet of 254 aircraft. In FY2016, it carried 52.1 million passengers and generated revenues of 1.77 trillion Japanese yen. ANA offers trans-Pacific connections between Asia through the gateway of Japan and 10 North American destinations namely: New York, Washington D.C., Chicago, Los Angeles, San Francisco, San Jose, Seattle, Houston, Vancouver, and Honolulu. ANA has been a member of Star Alliance since 1999 and has joint-ventures with United Airlines on trans-Pacific and Asia routes and with Lufthansa, Swiss International Airlines and Austrian Airlines on Japan-Europe routes. Its Frequent Flyer Program, ANA Mileage Club, has more than 26 million members. ANA was voted Airline of the Year for 2013 by Air Transport World Magazine, and in 2017 was awarded five stars for the fifth consecutive year by the world's leading Airline and Airport review site, SKYTRAX. ANA is the launch customer and biggest operator of the Boeing 787 Dreamliner. Get Pop-Cultured Returns to Barnes & Noble Starting July 6th! New York, New York – June 27, 2017 – Barnes & Noble, Inc. (NYSE: BKS), the nation’s largest retail bookseller and the leading retailer of content, digital media and educational products, today announced the fourth annual Get Pop-Cultured with Barnes & Noble campaign, a month-long celebration of pop culture with exclusive promotions, offers, giveaways and author and local store events customers won’t want to miss. This year, all stores will feature exciting promotions, offers and giveaways from major entertainment properties like Marvel®, DC™ as well as Yen Press and Viz Media Manga, leading up to a special cosplay event at select stores on Saturday, July 29, at 2 PM. During the event, customers are invited to step into their favorite characters’ shoes and celebrate their favorite stories and fandoms. Activities during the cosplay event will include a “how to” workshop for novice cosplayers, a cosplay parade and a costume showcase. Also, on Saturday, July 29, at 11 AM, all young superhero fans are invited to their local Barnes & Noble store for a special Storytime in celebration of pop culture. Customers should visit the Barnes & Noble Store Locator or contact their local store for details. For a full list of offers, promotions and events happening during Get Pop-Cultured, customers should check out BN.com/getpop-cultured. Get Pop-Cultured with Barnes & Noble was first established in 2014 to bring to life customers’ favorite books, characters, movies, artists, illustrators and pop-culture icons. Throughout this year’s Get Pop-Cultured campaign, Barnes & Noble stores across the country will welcome customers’ favorite authors, illustrators and celebrities including Ameriie, Curtis Armstrong, Robert Beatty, Max Brooks, Chris Colfer, Kristen Hancher, Kevin Hearne, Marjorie Liu, Bill Nye, Wesley Snipes, Yuto Tsukudo and more. Customers should visit the Barnes & Noble Store Locator or contact their local store for details. Customers are encouraged to take advantage of the buy two, get the third free* promotion on all Marvel Graphic Novels from July 6 to July 18 in all stores. During this offer, fans will also receive the Barnes & Noble 2017 Get Pop-Cultured Spider-Man Previews, a Spider-Man Bookmark and Spider-Man Coloring Page, while supplies last. From July 6 to August 1, fans of Yen Press Manga will receive a special offer on their favorite manga in all stores. All Yen Press Manga will be buy two, get the third free*, and exclusive Yen Manga posters will be given away, while supplies last. Customers are invited to participate in a special buy two, get the third free* offer on all DC Graphic Novels from July 19 to August 1 available in all stores. Also, customers will have the opportunity to check out the new DC imprint Young Animal, curated by My Chemical Romance’s Gerard Way, with a Young Animal Sampler giveaway, while supplies last. DC Superhero fans won’t want to miss the DC Superhero temporary tattoo giveaway, while supplies last. To top it off, all DC fans will want the 2017 DC Essentials Catalog and Poster giveaways, while supplies last. Fans of Harry Potter won’t want to miss the magic of 25% off each paperback book in the series from July 19 to August 1 in all stores, while supplies last. Additionally, Harry Potter fans will receive 50% off of Harry Potter and the Cursed Child from now until September 4 to keep the magic of savings going all summer long, while supplies last. Customers will have the opportunity to build their pop-culture library with Barnes & Noble Collectible Editions. From July 19 to August 1, customers can choose from a selection of Barnes & Noble Collectible Editions to purchase for only $15 each, available in all stores while supplies last. Featured items include the leather bound Barnes & Noble Collectible Editions of the following titles: Doctor Who: Remembrance of the Daleks/Prisoner of the Daleks by Ben Aaronovitch; Doctor Who: The Silent Stars Go By/Touched by an Angel by Dan Abnett; Les Miserables by Victor Hugo; Star Trek: The Classic Episodes by James Blish; Star Wars Trilogy by George Lucas; To Kill a Mockingbird by Harper Lee; Ultimate Hitchiker’s Guide to the Galaxy by Douglas Adams; and Wicked/Son of a Witch by Gregory Maguire. The massively popular Comic Convention Collectibles will be on sale exclusively at all Barnes & Noble stores July 20, while supplies last, with a limit of two per customer. The assortment will feature Funko and Diamond Collectibles. All Tokidoki fans will want to stop by their local Barnes & Noble on July 20 for the launch of the new Mermicorno 2 Pack. The Mermicorno 2 Pack showcases fan-favorites Cora and Gelatina. Transparent detailing, glitter injection, and metallic coating make these enchanting seafaring creatures a must-have for any Tokidoki collector. Fans should contact their local Barnes & Noble for more information on items available to purchase. Plus, featured items from the wildly popular Tamashii Nations Collectibles and Gundam Hobby will be 20% off from July 5 to September 10 in select stores. Fans should contact their local Barnes & Noble for more information on items available to purchase. On Saturday, July 29, all young superhero fans are invited to their local Barnes & Noble for a special Storytime in celebration of pop culture. Featured stories include Good Morning, Superman!, Be a Star, Wonder Woman!, and Bedtime for Batman. This Storytime event will include engaging activities to go along with each featured story, including a temporary tattoo giveaway, while supplies last. Children are encouraged to come dressed as their favorite superhero, villain or character to show their fandom. Customers should visit their local Barnes & Noble store or go online at BN.com/getpop-cultured for more information. They are encouraged to post pictures of themselves having fun at Get Pop-Cultured events to their social media channels using the hashtag, #GetPopCultured. *Terms and Conditions: Offer applies to lowest-priced qualifying title. eBooks not included. While supplies last. Barnes & Noble, Inc. (NYSE: BKS) is the nation’s largest retail bookseller, and a leading retailer of content, digital media and educational products. The Company operates 633 Barnes & Noble bookstores in 50 states, and one of the Web’s premier e-commerce sites, BN.com (www.bn.com). The Nook Digital business offers a lineup of popular NOOK® tablets and eReaders and an expansive collection of digital reading and entertainment content through the NOOK Store®. The NOOK Store features more than 4.5 million digital books in the US (www.nook.com), plus periodicals and comics, and offers the ability to enjoy content across a wide array of popular devices through Free NOOK Reading Apps™ available for Android™, iOS® and Windows®. Here are some of the recent and upcoming novels by formerly featured DAC Authors! The year in parentheses is the year the author was featured in the DAC. 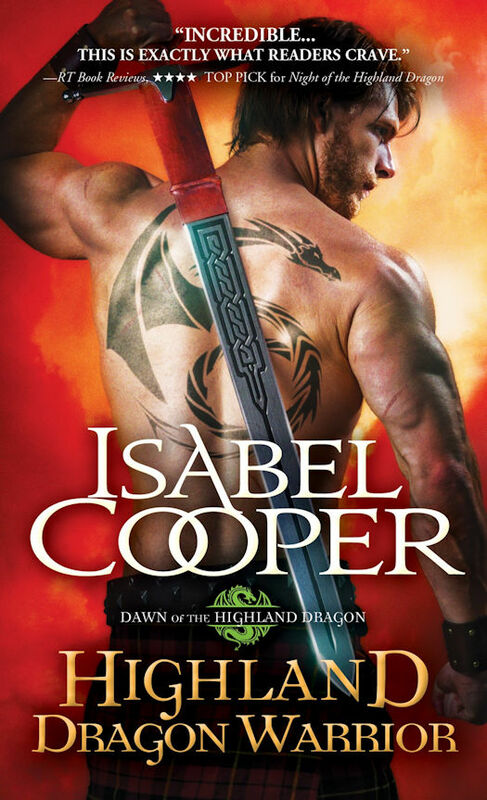 Dragon shapeshifter Cathal MacAlasdair is on the brink of losing a dangerous power to his enemy when a whip-smart alchemist strikes a bargain...and lights a fire inside his heart. 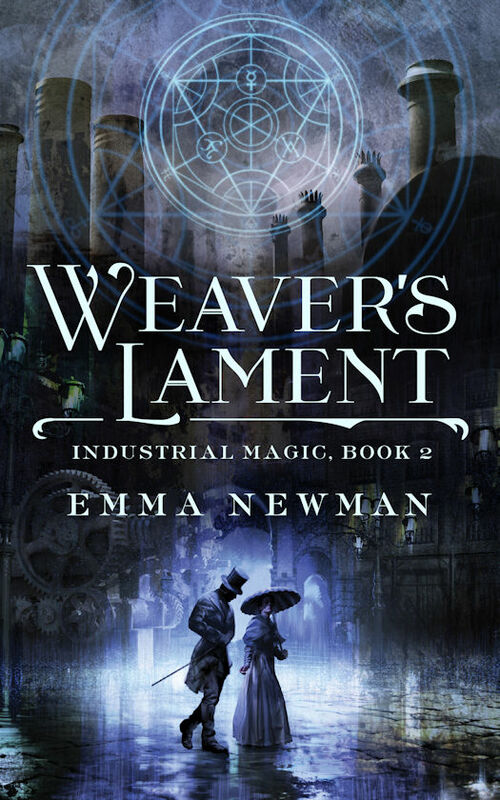 Charlotte's magical adventures continue in Weaver's Lament, the sequel to Emma Newman's Brother's Ruin. 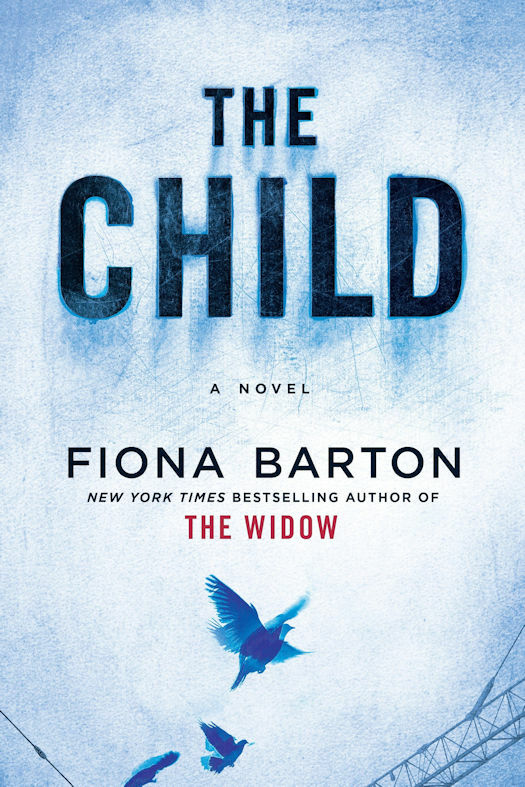 The Child, a psychological thriller, by Fiona Barton is out today from Berkley! 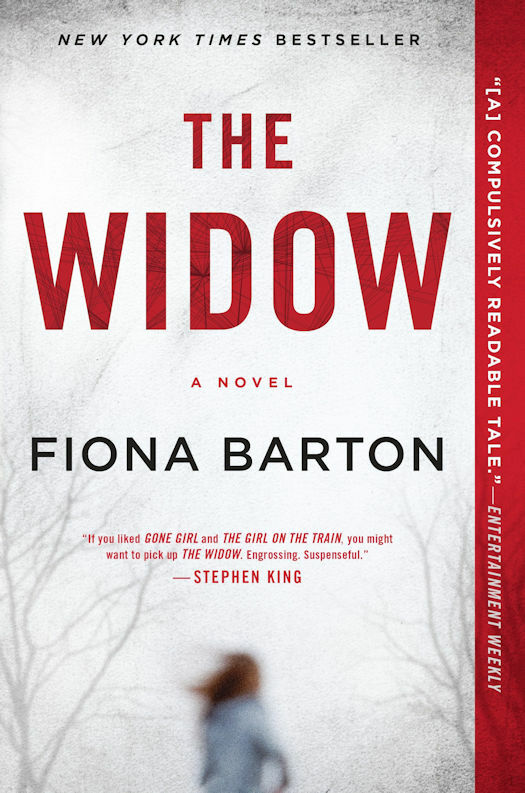 Includes a preview of Fiona Barton’s new hardcover, The Child, coming in June 2017.